International health charity Doctors Without Borders (MSF) suspended operations in North Kivu on Thursday in the wake of attacks on two of its Ebola treatment centers in the eastern province. A center in Butembo was attacked on Wednesday, days after a facility in Katwa was attacked. At least one person was reported dead in the late-night incidents in which the unknown attackers stoned and set fire to facility buildings. Ebola patients and staff fled and sought refuge in the community. “This attack has put not only the lives of Ebola patients and their families in danger, but also those of MSF and Ministry of Health staff. Our efforts are currently focused on the immediate safety of both staff and patients,” Robert said. Local militias, or Mai-Mai, are suspected of carrying out the attacks. A range of militia groups have been active for decades and oppose the central government as they hold sway in North Kivu. Mistrust of the government and outsiders is known to run deep among the rebels and members of the community in North Kivu. Residents told DW that rumors about Ebola being deliberately spread by the very foreigners offering to help, or by the central government as a weapon of war, are circulating within the community. One man from the city of Beni said it is often repeated that former President Joseph Kabila had orchestrated the spread of the virus to the area. 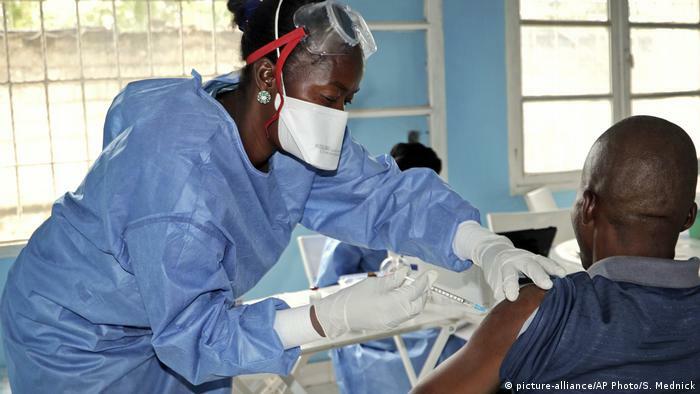 “There is a large part of the population that is very reluctant and not convinced that [the] Ebola disease is really present,” Emmanuel Massart, MSF’s field coordinator in Katwa told DW. Butembo Mayor Sylvain Kanyamanda pleaded with the community to assist authorities in the wake of the attacks. “Every normal person would seek to avoid death. So we call upon the population to help us find or denounce those who have fled from the center and continue to hide in their homes. Because they are a very serious threat of contamination,” Kanyamanda said. DRC Health Minister Oly Ilunga Kalenga condemned the attacks. “It is our responsibility — we the people who are benefiting from the service — to make sure that the team and the people fighting against Ebola are safe. It is society’s responsibility. What we are experiencing here is the contrary,” he said. The militias, who rarely speak publicly, have failed to heed calls from community leaders and priests in the affected areas to permit Ebola health care workers to carry out their work. 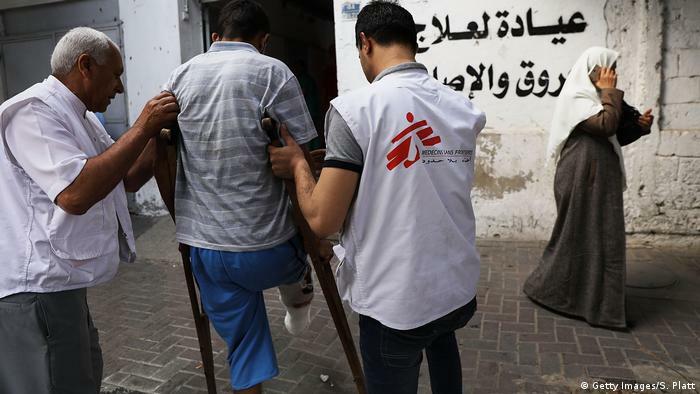 UN agencies operating alongside Health Ministry staff need the assistance of soldiers and police, while international NGOs employ security guards to secure their facilities and staff. 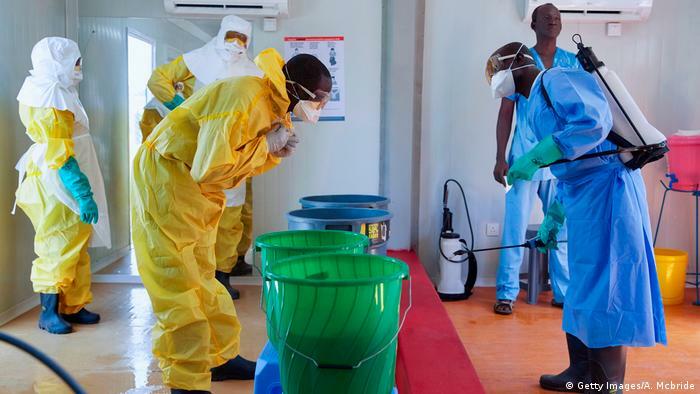 When the Kivu Ebola outbreak was confirmed in August 2018, the World Health Organization and international groups warned they would be working in conditions that were “very high risk” due to the political instability in the region. By November, Ebola deaths and infections recorded in North Kivu and neighboring Ituri Province meant the outbreak had swelled to become the biggest since the West African Ebola epidemic of 2013. At least 550 Ebola deaths and 300 infections have been reported in DRC since August. In addition to MSF, the WHO and other UN agencies, humanitarian aid groups such as Caritas, Medair, Mercy Corps, Samaritan’s Purse, Save the Children and the Alliance for International Medical Action (ALIMA) provide services in the North Kivu areas of Katwa, Butembo and Beni. A treatment center used by ALIMA in Katwa was reportedly burned down recently by suspected militias, but the organization has continued to operate, according to local residents. International and local Ebola aid staff say they have been working in a climate of intense fear. All health care workers who are not from the area appear to be at risk. Some of them point out that the risk for the Congolese nationals among them is even greater due to long-standing political divisions. There have reportedly been cases where Ebola aid staff refused to carry out their duties out of fear for their personal safety. The UN has repeatedly warned that the instability in North Kivu puts the humanitarian response at risk. International charities rely heavily on information about the daily risk on the ground from the UN Office for the Coordination of Humanitarian Affairs. One international nurse working for a US nongovernmental organization in North Kivu told DW about the rising fear among health workers in the area in the wake of the attacks. The nurse, a citizen of Congo himself, declined to be named as he is not authorized to speak to the media. “When you are working in the Ebola context here, you are in permanent insecurity. You can be killed instantly,” he said. Remy Mallet and Jacob Safari Bomani contributed to this report.